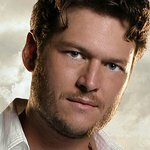 Pepsi is partnering with reigning CMA Entertainer of the Year and Grammy nominated artist Blake Shelton to kick-off summer 2013 by inviting fans to join Pepsi for an “Iconic Summer” to remember. With the launch of www.iconicsummer.com, Pepsi will offer consumers fun summer rewards and unparalleled access to great music and great summer events, including: Beyonce's The Mrs. Carter World Tour, the MTV Video Music Awards, the MLB All Star Game in NYC, the iHeartRadio Music Festival in Las Vegas, the Pepsi Gulf Coast Jam in Florida, and many more. 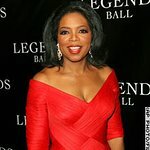 As part of this campaign, Pepsi unveiled plans to bring fans closer to their favorite country artists at this year’s CMA Music Festival in Nashville. Making the country fan experience truly iconic, Pepsi will invite consumers to experience the CMT Music Awards on June 5 and the CMA Music Festival from June 6-9 in Nashville, TN. The week will include an appearance by Blake Shelton at the newly debuted Pepsi Fan Engagement Bus, artist meet-n-greets, and opportunities to win prizes and rewards. Additionally, as part of the “Iconic Summer” rewards program, consumers will have an opportunity to make their summertime experiences iconic with a chance to win everyday rewards when they purchase specially marked 20oz, 2-Liter and multi-pack plastic bottles of Pepsi or Mountain Dew through an “Under the Cap” promotion that will unlock prizes. Fans can visit www.iconicsummer.com to view available prizes and redeem codes for special merchandise and experiences ranging from VIP concert tickets to the 2014 Super Bowl in New York.